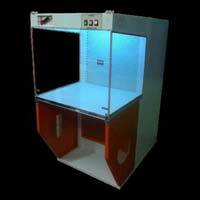 Slide Panels : Transparent acrylic / toughened glass. 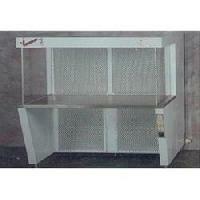 Work Table : laminated Table Top / S.S. 304. Material of construction : M.S. CRCA / S.S. 304. 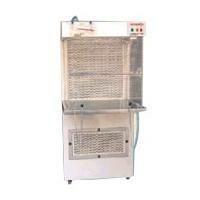 Pre Filters : HDPE, Washable. 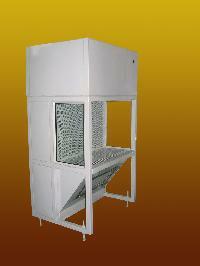 Available sizes of filtration area : 2' x 2', 4' x 2', 6' x 2'. B/M Assly. : Dynamically balanced and Spring Suspended for low noise and vibration. 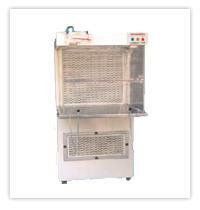 Post Filters : HEPA (high Efficiency Particulate Air) Eff. 99.97% down to 0.3 Micron particle size. 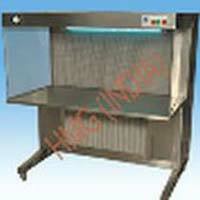 Power Supply:= : 220 V, AC., 1 Phase, 50 Hz. 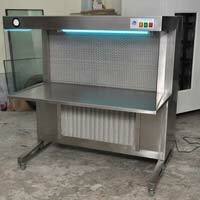 We are offering vertical laminar flow bench-1. 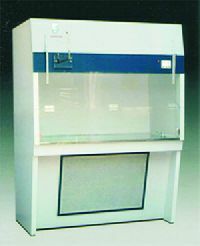 Nand Scientific & Laboratory Instrument..
We offer Horizontal Laminar Flow Bench in a variety of sizes as per the customerâ��s specification. 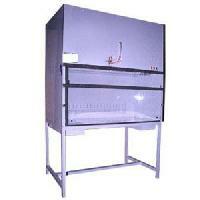 Horizontal Laminar Flow Bench is especially designed to provide the ideal particle free, bacteria free clean air environment, which is needed in Laboratory work testing, Inspection or Pharmaceuticals procedures. 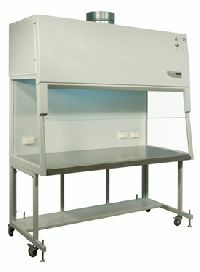 Hmg laminar flow bench unit designed to provide a laminar flow work space comprising : standard features mini pleat hepa (99.997% @0.3 µm) (factory dop tested). Pre filter 95% efficient @ 5 µm, suitable motor blowing assembly/lies, working table top of s. Steel satin finish; side acrylic panels; fluorescent tube light ; u.v. 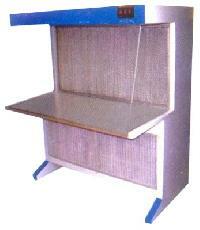 Light & pressure differential manometer; castor wheel for ease movement. 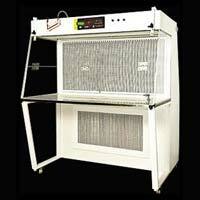 Centech make Vertical Laminar Airflow Benches are designed to provide Class 100 workstations for creation of a bacterial dust free air space. 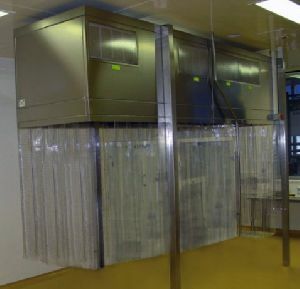 VLAFs are used for work with low risk substances and materials, when protection of working material from environment is necessary or the item requires a sterile working zone. 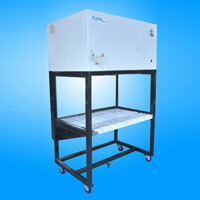 LAMINAR AIR FLOW BENCH is classified based on the air flow pattern. 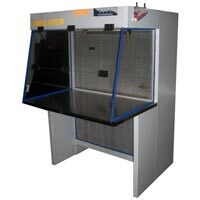 If the Airflow pattern is horizontally across the work table is called horizontal laminar air flow and if the air flow is vertically downwards on the work table surface is called vertical laminar air flow. 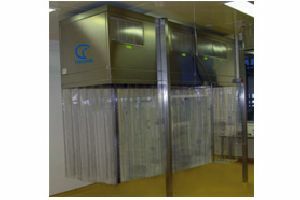 In both types principally the room air is taken through a pre filter which arrest larger size particle by which the life of HEPA filter increases. 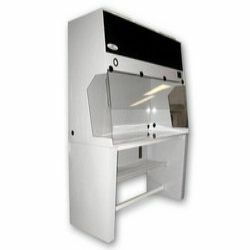 A laminar flow cabinet or laminar flow closet or tissue culture hood is a carefully enclosed bench designed to prevent contamination of semiconductor wafers, Pharmaceutical or biological samples, or any particle sensitive device. 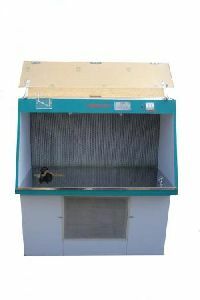 This is a device which incorporates hepa filters and motor-blowers for the purpose of supplying laminar (undirectional) flow of clean air to the controlled work space. 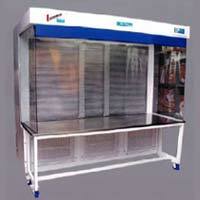 This air is directed in horizontal and vertical paths over the work area. Air velocities are usually of the order of 0.36 msec to 0.56 msec. 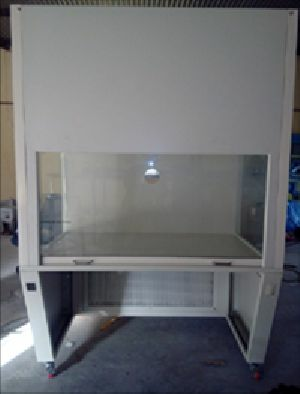 Laminar flow bench, Laminar flow cabinet is a enclosed bench designed to prevent contamination of semiconductor wafers, biological samples, or any particle sensitive materials. 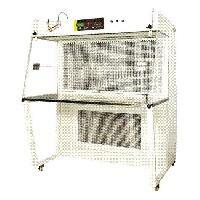 Air is drawn through a ULPAHEPA filter and blown down at a very low velocity. 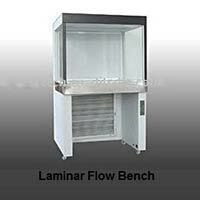 Laminar flow benches are available in both Horizontal and vertical conditions. This is decided based on the customer process. 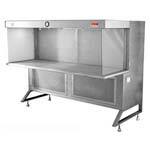 Flow benches will have fluorescent lights, UV germicidal lights, magnahelic gauge and shutters as standard features. 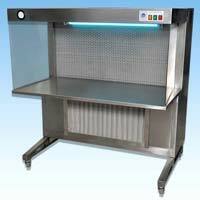 We are offering laminar flow bench 2’ x 2’ x 2’ 3’ x 2’ x 2’ 4’ x 2’ x 2’. 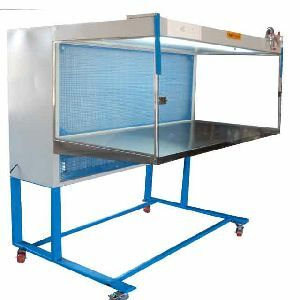 AVI make Laminar Flow are designed and fabricated to provide an individual clear air environment for small items no requiring a full-size clean room. 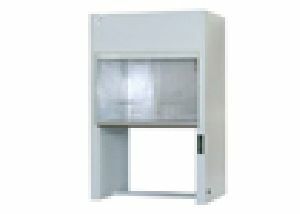 In the laboratory, individual laminar flow cabinets are commonly used for specialized work such as tissue culture to eliminate airborne contamination.